This means being the commander of your online domain. Ensure that you own your website’s domain by having your business name on it. This way, you will be able to prevent the business name from being tarnished by trolls or wicked competitors who use cheap gimmicks against you. Owning your website domain also means that your business is not associated with any imitators that may be posing as you in order to ruin your good name. 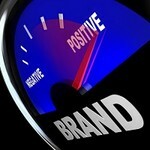 Getting negative feedback concerning your business is definitely going to happen now and then. And, as long as the business is in operation, the effects of negative feedback can be felt with a thunder by the owners. The manner in which you chose to deal with negative complaints might make customers decide whether or not they are going to do business with you anymore. Don’t get defensive when a customer or any other person makes a bad comment concerning your business online. Always be corrective and respect the person if their info is false. However, in case of legitimate complaints, apologize and try your best to solve the problem. Customers appreciate businesses that go out of their way to fix problems. Remember that customer service has been and will always remain the key. Some businesses opt to issue refunds whenever they’re being frequently criticized on Facebook, Twitter, or any other social media platforms. Nonetheless, a business ought to be very cautious when issuing out refunds. The risk that arises out of this, is that people online will begin pretending they have problems just so that they can receive a refund or discount. One of the simplest ways for a business to keep tabs on its online reputation is ensuring that they Google the business at least once every day. By doing so, the owner of the company can monitor the views of other people regarding the business. The owner can also create Google alerts to enable them know when their business has been mentioned online. Social media is one of the most critical parts of many businesses in the modern world. Having a presence on Facebook and Twitter will allow the business to react faster to any complaints that customers might have and to promote the business positively. How you take on online conversions will definitely vary depending on the kind of social media platform you pick, whether that is Twitter or Facebook. No matter what platform you go for, you can greatly help mitigate your business risks by planning ahead, showing transparency and being committed. It’s important to note that there is be value in being available on every social media platform for the simple reason of your business name being taken by somebody else with a similar/same name as yours, and your audience confusing it with yours. In the modern days, every business must have a website to reach its marketing goals. Without a well-designed website, it is not possible to gain a lot of customers or keep up with the high competition in the modern market. However, it is good to note that just having a website is not enough to make your business reach great heights. You must come up with ways to promote it to get high exposure. This article offers five tips for successful web promotion. One of the most effective ways to promote your website is through link building. You need to come up with your own list to promote with. Building a list is easy, cost effective and there are many ways that you can do so. The best way is to start your own safe list or newsletter. Another way is to link your website with other reputable sites that are ranked high in major search engines. This will help your site get more exposure and gain popularity. Ezine advertising is one of the most powerful ways you can promote your website online. Ezine has millions of subscribers looking for ways to earn money or boost their income. There are both solo Ads and TopSponsor Ads sent to publishers data base. Both of them are great ways because the readers will be able to see your site when they start to read newsletter publication for that day. This means that your site will be seen by many people, thus making them want to know more about it in the process. Pay per click advertising is another best way to promote your website on the internet. There are many of PPC’s that you can put your advertising with. All you need to do is to carry out a search with Google, and you will realize that there are many to choose from. These PPC’s can make your site attract all types of traffic to your site. Also, you can own your own PayPerClick system and send traffic to your website. It is good to note that users do not visit your site just to buy a product. If your website sells products, it should have full information about the products you sell. For instance, it should show how to set up the products, how the products should be used, reviews given by customers and comments from other users. If your site sell products, make sure you include products reviews that can drive even more visitors to your site. This will not only bring more visitors to your website but also convert them into your business customers. Social networking has become of the most popular way many web owners use to promote their sites. You need to participate in forums, newsgroups, join social media platforms and other community driven sites that relate to your site. Let others know about your website through a link or signature. However, you should not only promote, but you should also give constructive suggestions and feedback. Doing business might not be very simple as one may think of. The most difficult thing in marketing your business online is reaching as well as retaining your customers. It is true that marketing a new product or business may be time-consuming and costly something that most of the entrepreneurs cannot afford. This is because most of the new businesses do not have adequate resources to market their products. However, there are a few tips that everyone who is a businessperson should use to market his or her business online. The following are the top 4 ways to market your business online. You first need to register your business online with Google places. This makes it easier for your business to be found on Google searches. It also shows up on the Google Maps. All you need to do is to fill out the form and register. You also require to have your business verified during the conformation process. This can be done either by using your phone call or the snail mail. You can also use Yahoo, which is also a big database of businesses. It is free and worth the few minutes you will use setting it up. One can also use the Microsoft’s Bing, which has similar services and is easy to sign up. Email is among the most effective digital marketing tactics. It delivers the best ROI and is easy to use. Start by a customer newsletter that gives timely information concerning the unique business promotions or inside look of the company. This will help to build a good community with your clients thereby keeping your business and products in their minds. You do not have to pay marketing consultant fees so as to develop email campaign. You will do it using the free services such as MailChimp that allows small-business owners to send automated messages, targeted campaigns and marketing emails. A blog is a great way to market your business online. It not only helps your business to get its name out through followers but also it is a nice way to connect with your customers more directly. However, you need to remember that you must keep your stream updated as regularly as you can. This is because a dormant blog is more of abandoned one that is worth nothing. Every time your business does something newsworthy, you should shoot off a press release. Press releases are very powerful media tool that you can use to assist generate publicity as well as have free distribution of the information concerning your business. There are so many websites that you can use for your press releases such as 24/7 Press Release and PRLog. Above are the top 4 ways to market your business online. If you have a business that you would like to market online, simply use the above tips and surely they will work out greatly for you and your business. SEO stands for "search engine optimization". Search engine optimization is the process of optimizing your landing page or website for Google's search engine. Google search engine uses an algorithm to look for a couple of different things to list a website in the results when a person types in a specific set of keywords. Keywords are what internet user's type into Google's search engine when they are looking for a product or service. SEO ensures that a website is accessible to search engines and also enhances the chances of it being found by search engines. Many a business owner would agree that they like to improve the way their business fares in the market but they don't know any better on how to make that happen. As an owner, it is quite normal to be concerned with all these things such as getting leads and visibility to the market. SEO is the best way to get these things coming to your business because it allows your company to be heard and seen by other online users when you take part in discussions in forums or social media sites. These are days of hard competition and any business that has a lot of market competition would have no better choice but create a strategy that would make its brand known. An internet marketing company can assist you with this concern and create a good strategy for your online visibility. You have to work with keywords or search phrases to get your website "optimized". What are those keywords? They are usually a selection of words that describe your products and features. For instance, you are a company selling high-end furniture. You can choose a keyword to use such as "best furniture company" and add a geographical location where you want the search to be visible. However, you should also take note that you cannot just pick any keyword to use. The expertise of a search specialist includes keyword research and analysis. There are metrics to be considered when performing this and even the competitor's keywords would also be researched to see if they are using the same ones that are indicated for your company and where they rank in the searches. This is how to start an SEO strategy and it would begin with making an audit of your website to check if the URL, sitemap, meta and other important elements are properly done to merit the attention of search engines or not. The SEO company will also do a rank check of the keywords and see which companies are found in the first page of the search. This will give you an idea where you stand against the competition, and how you can overtake them in ranking. Such undertaking may take several months to show results since optimization is an organic way to finding its way to the searches. Your internet marketing company will make sure that your presence is optimized. Having a website for the sake of getting it doesn't cut it anymore. You have to create a system that will lead your market to your website, and that means, you have to join the groups where they are found. What advantage can you get with an online exposure? You want people to visit your website. This website must also be user-friendly and can be navigated by the ordinary user. The website must contain data that will help visitors with their quest for answers. If you are an e-commerce website, you have to optimize every product you offer so that people can be directly led to your website and with that, there's a greater chance they become your customers.